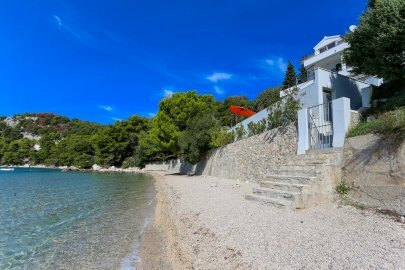 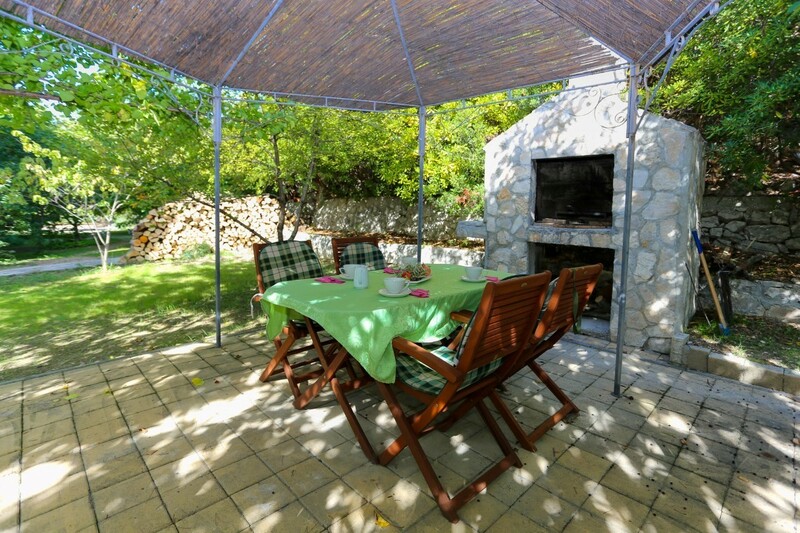 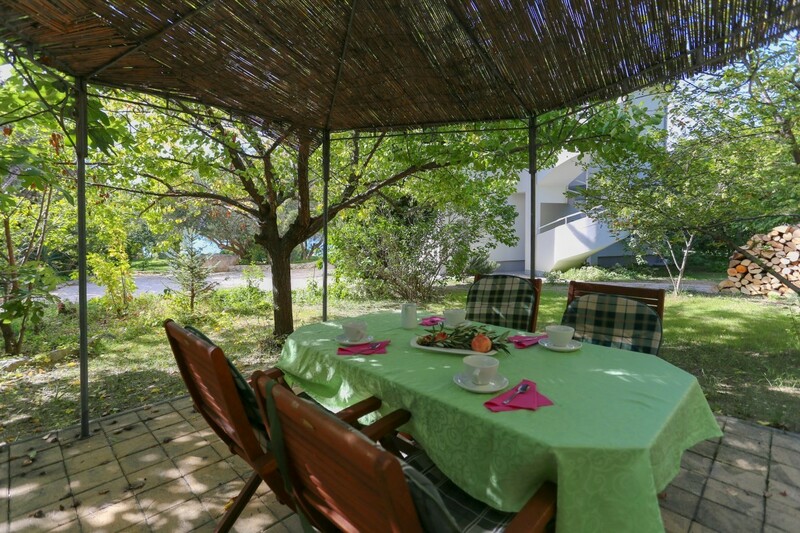 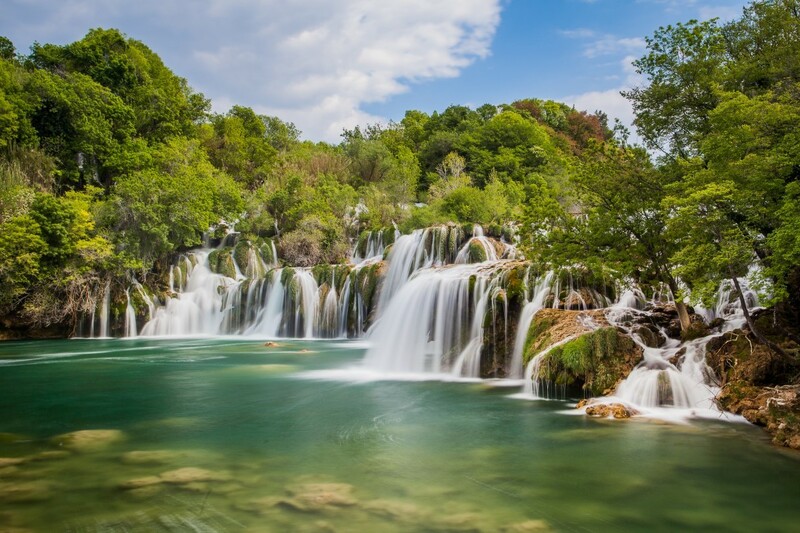 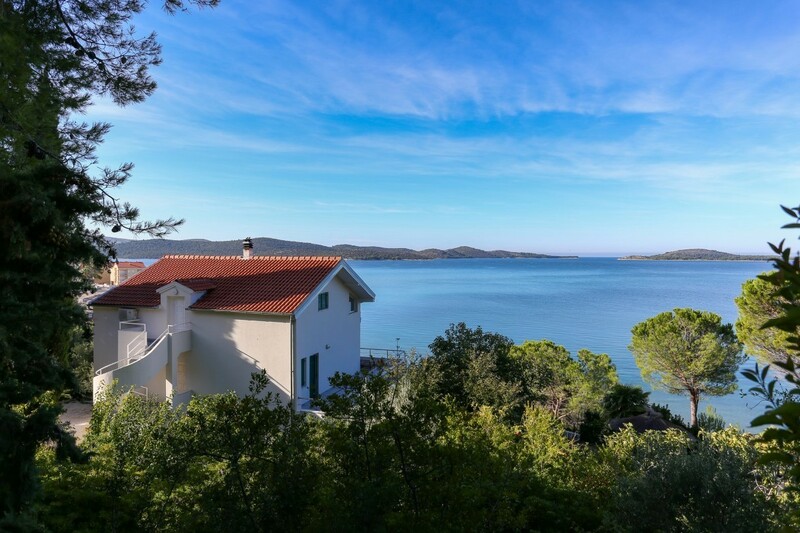 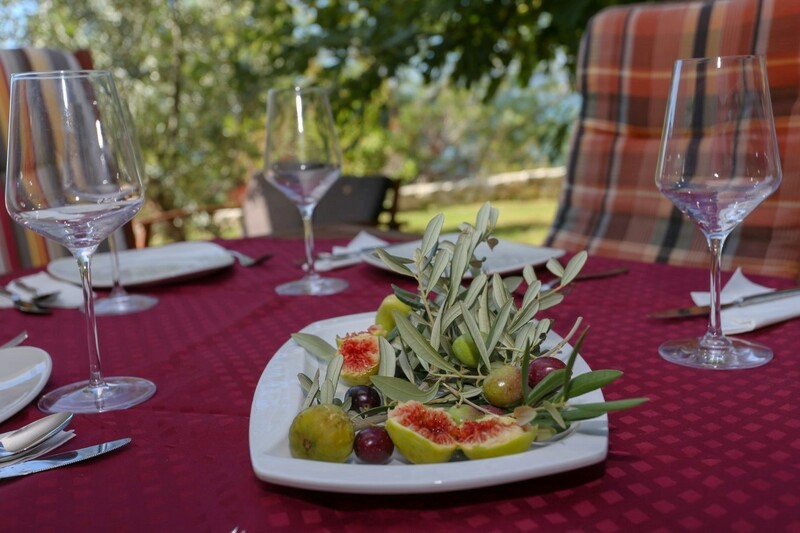 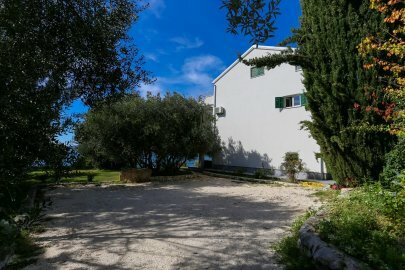 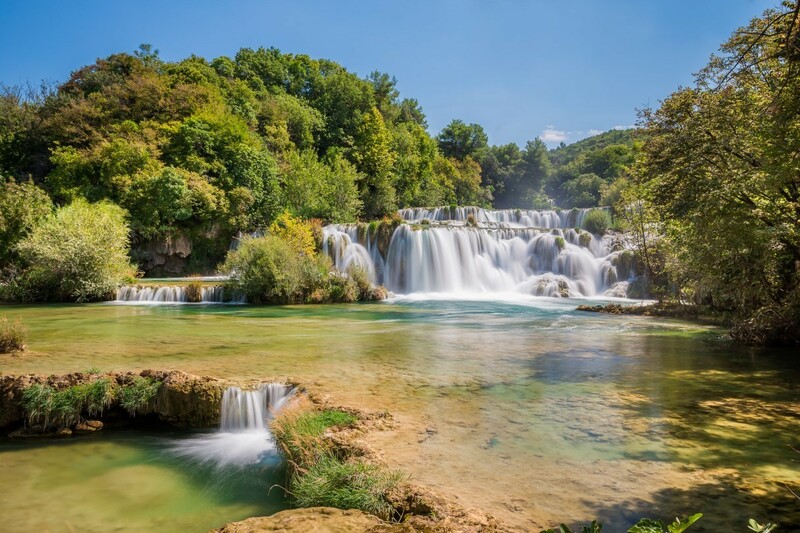 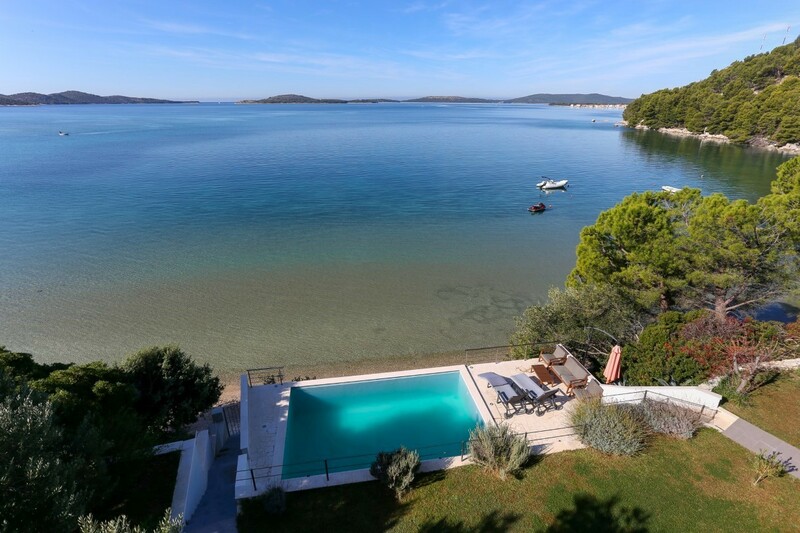 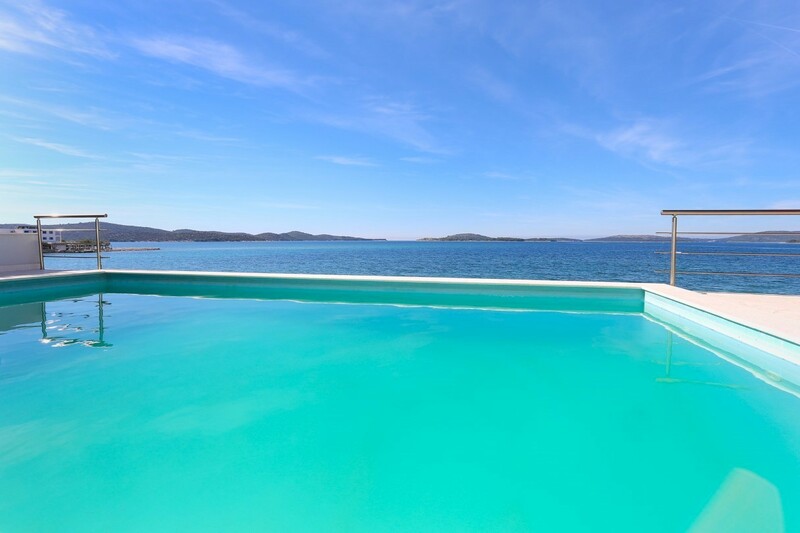 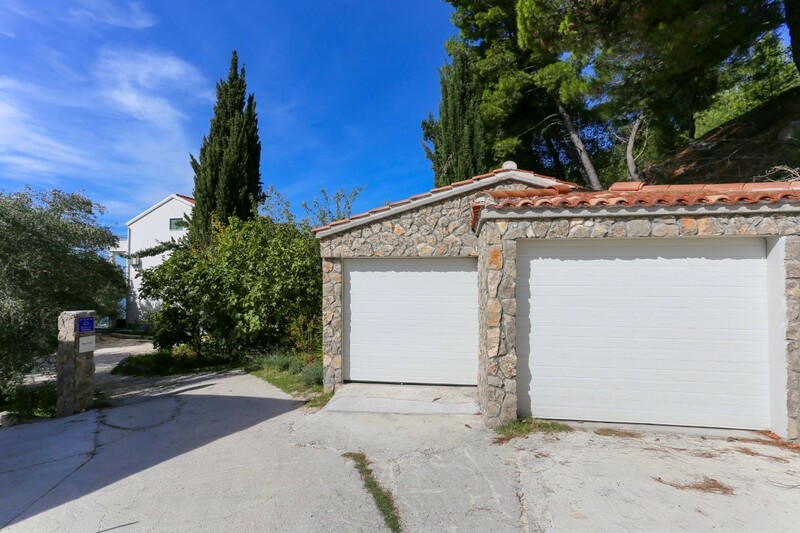 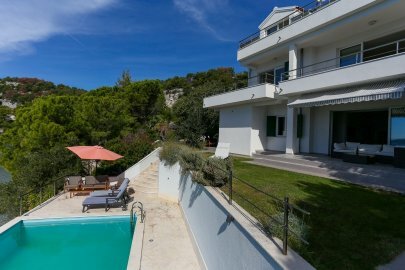 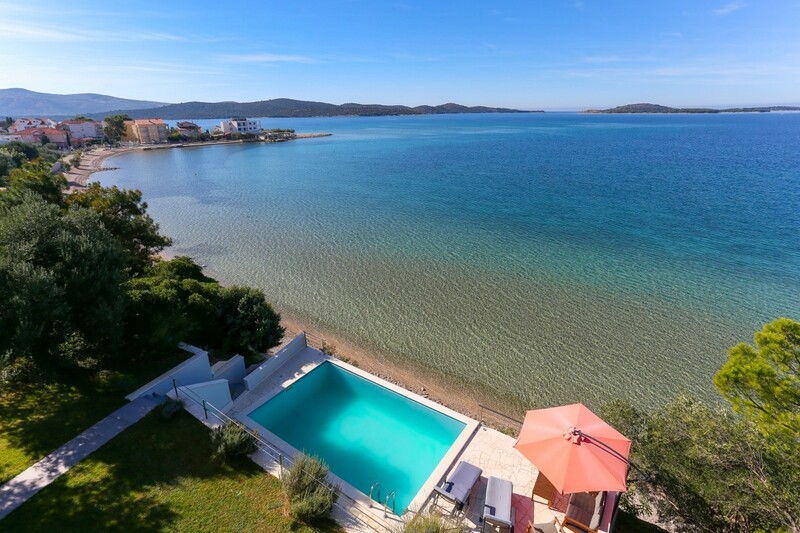 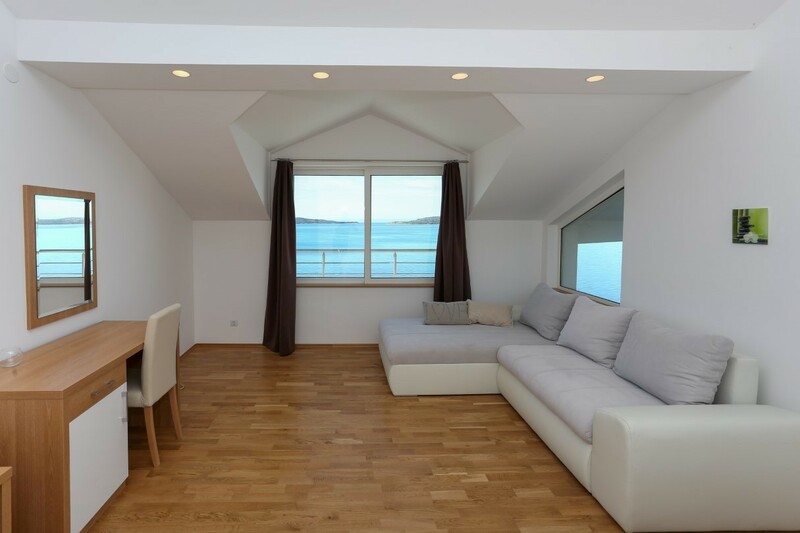 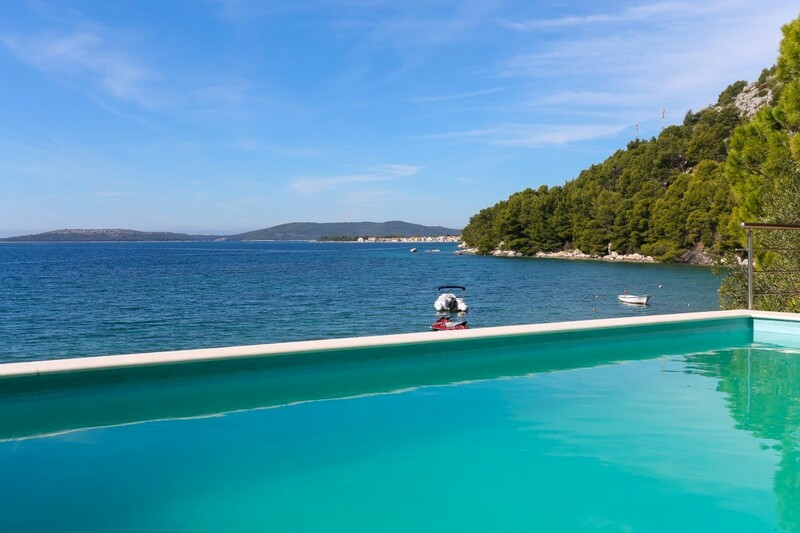 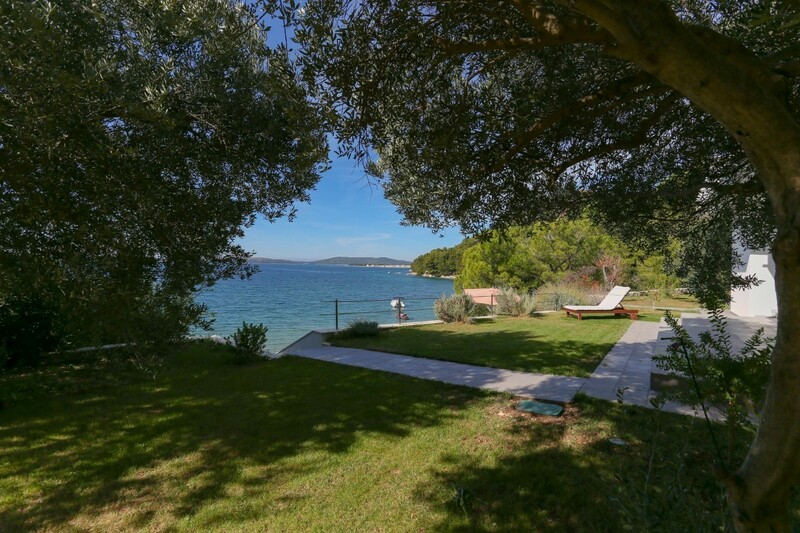 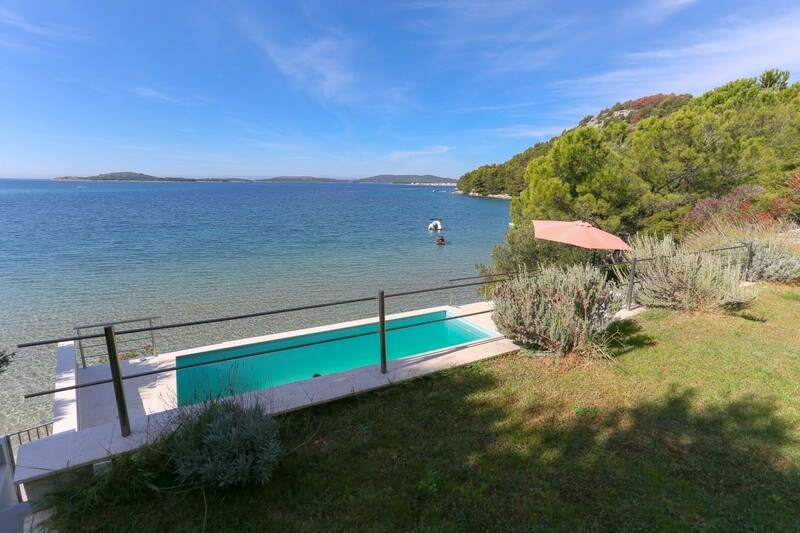 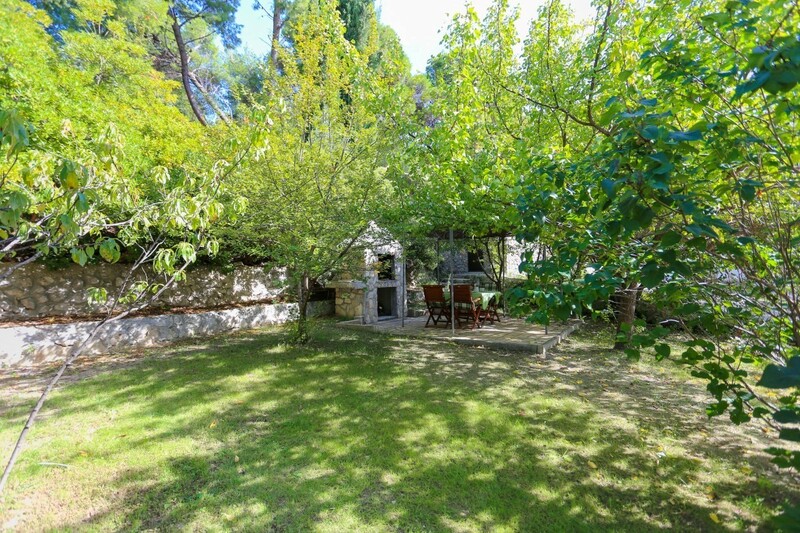 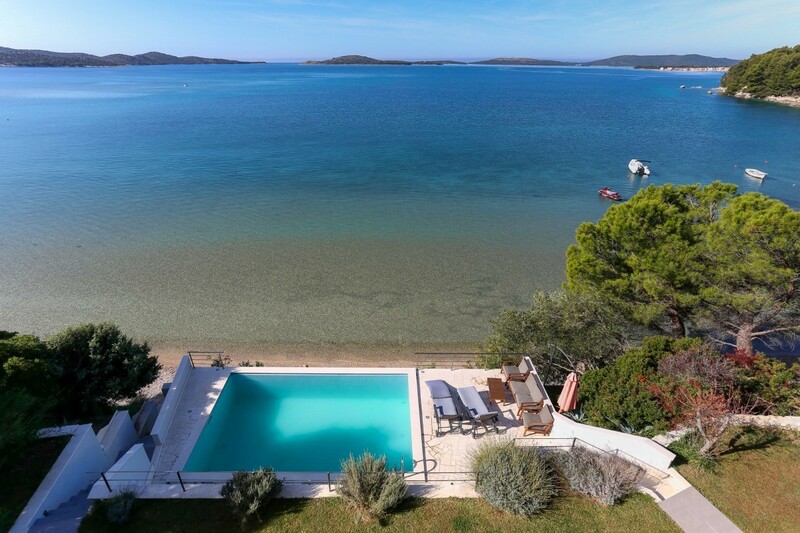 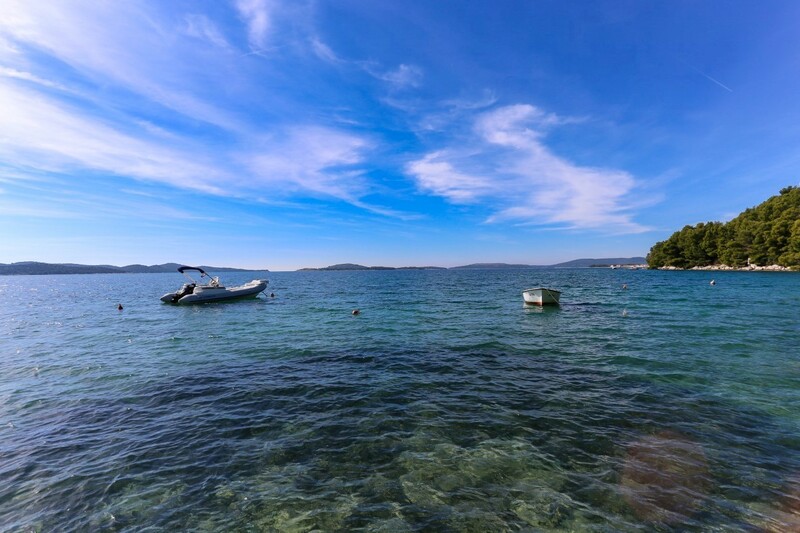 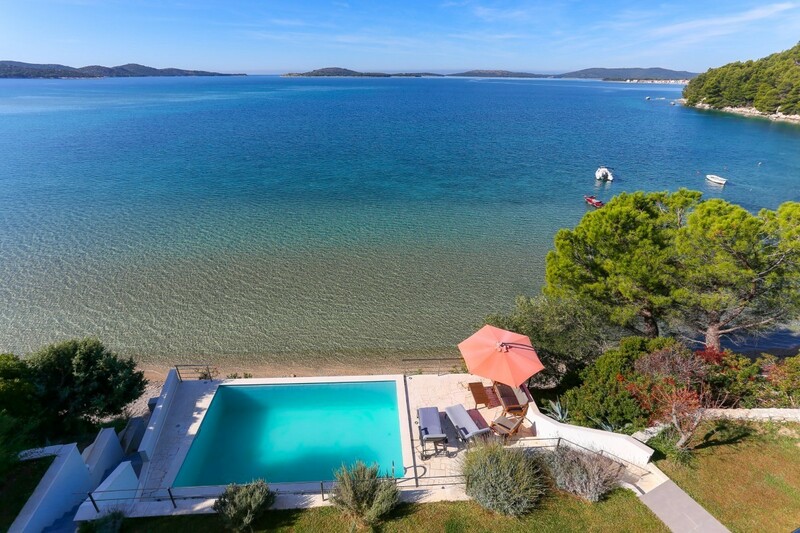 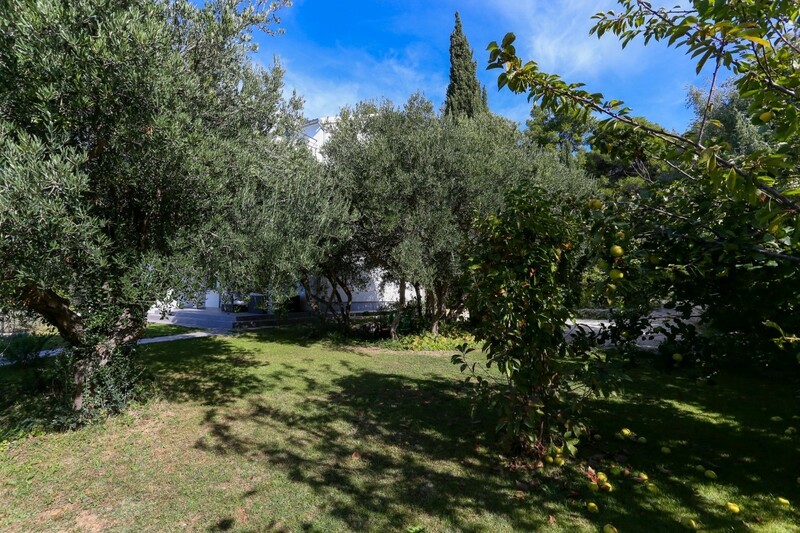 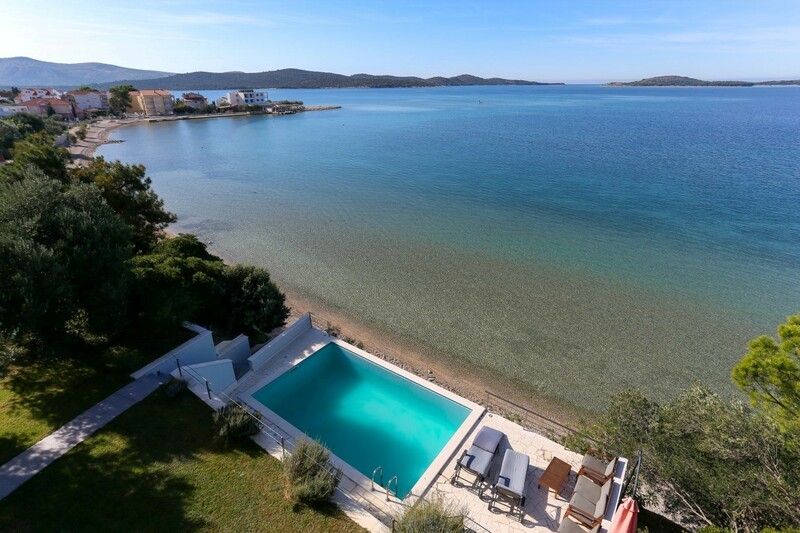 Villa Exotica is located in Žaborić, only few kilometres from the town of Šibenik. 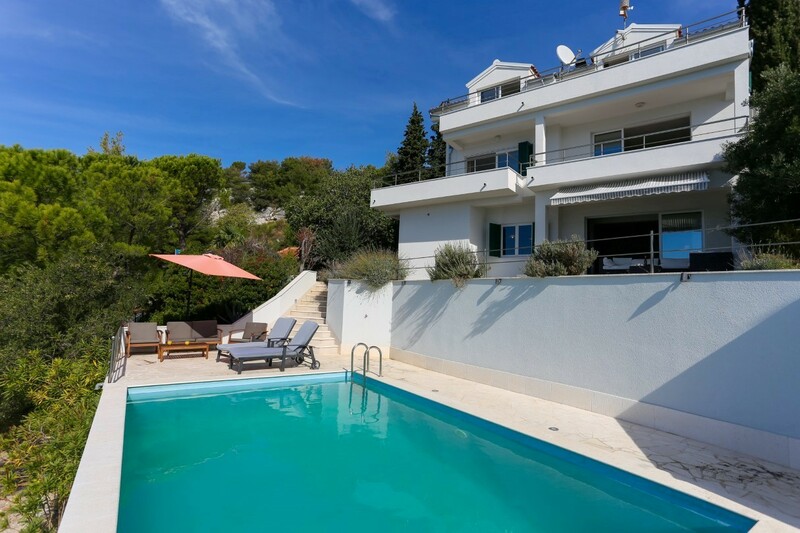 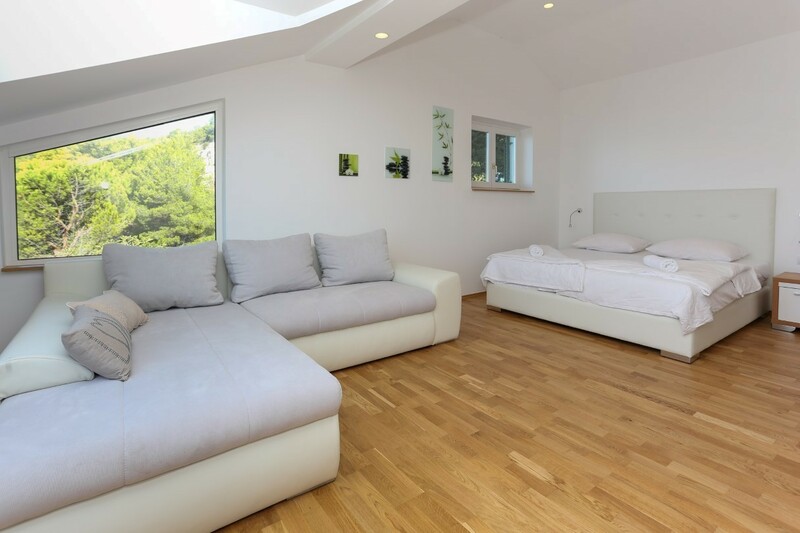 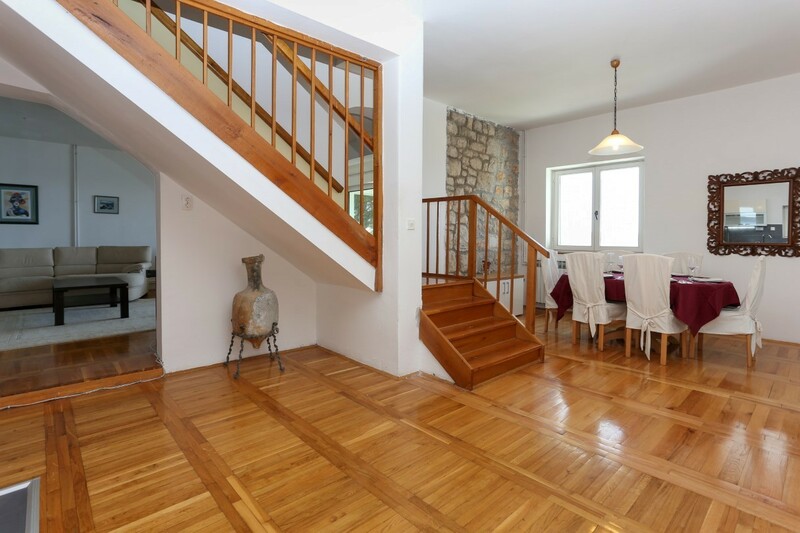 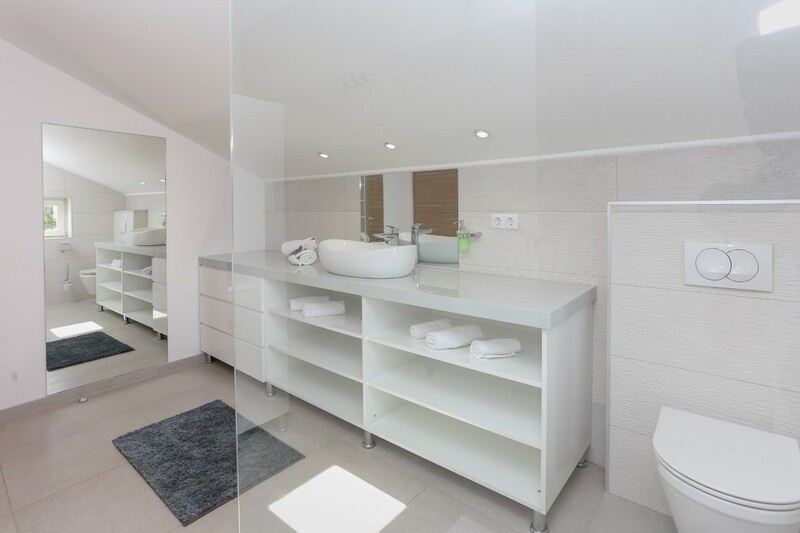 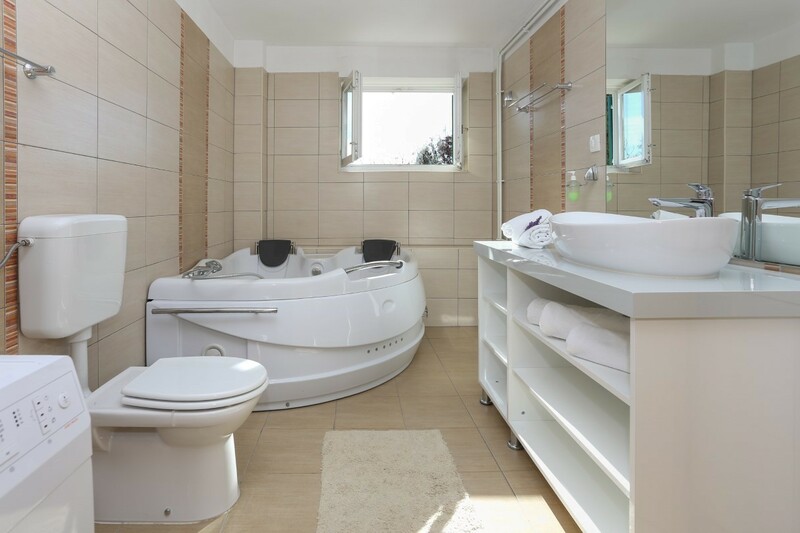 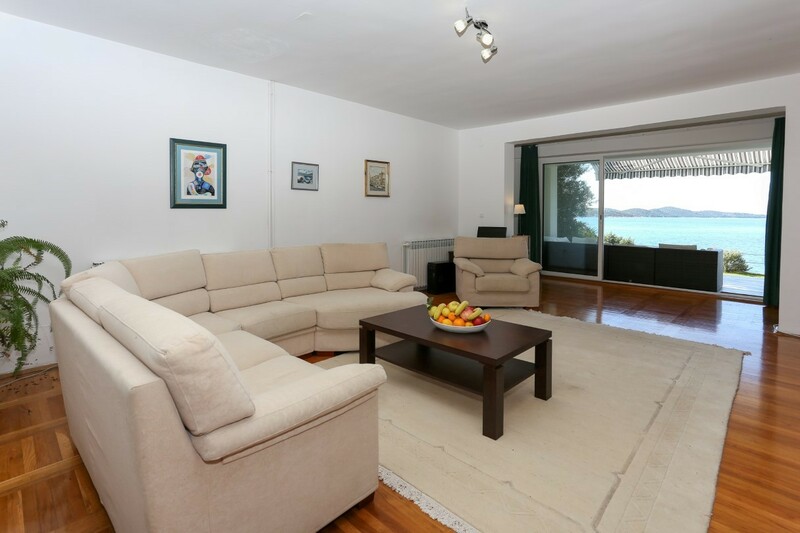 This modern villa has 4 bedrooms and it can comfortably accommodate up to 8 guests. 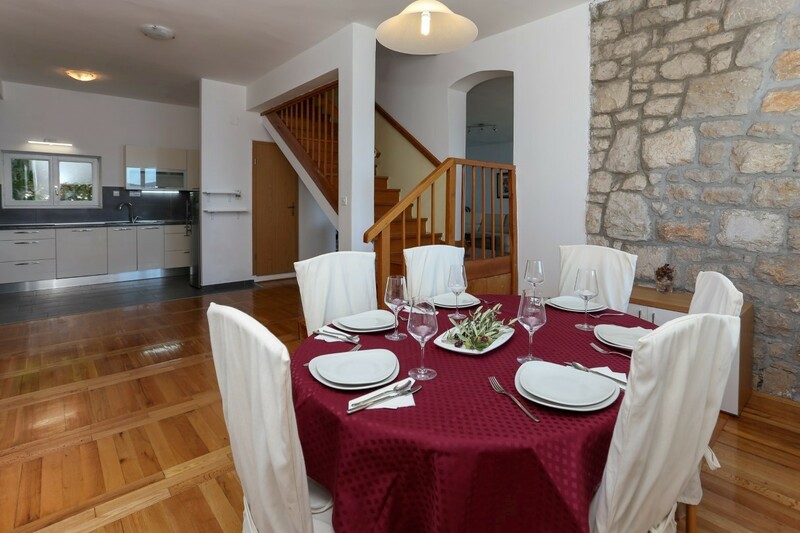 The ground floor and the first floor represent one space which consists of a kitchen, dining area, living room, two bedrooms and bathrooms. 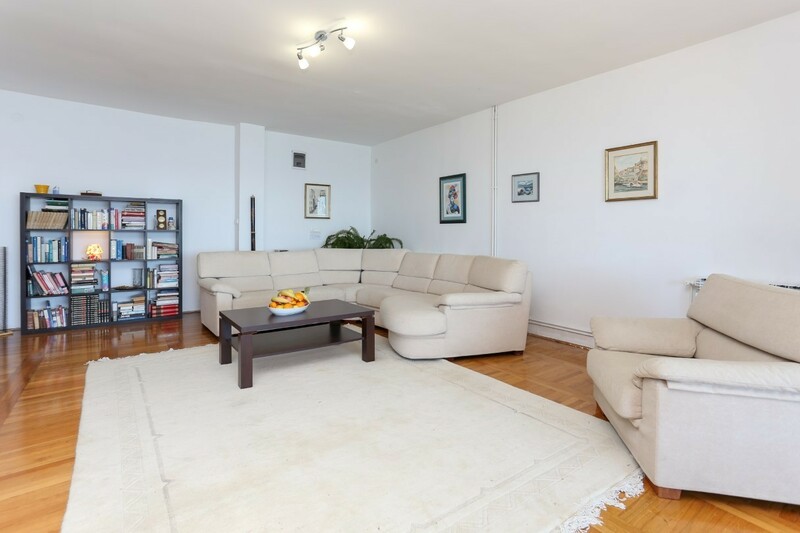 The whole space is very comfortable and spacious with plenty of sunlight. 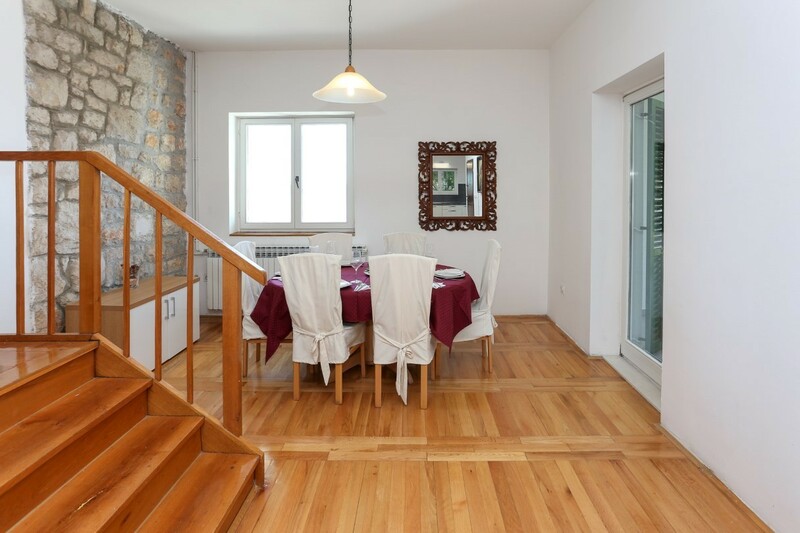 On the second floor there are two separate apartments. 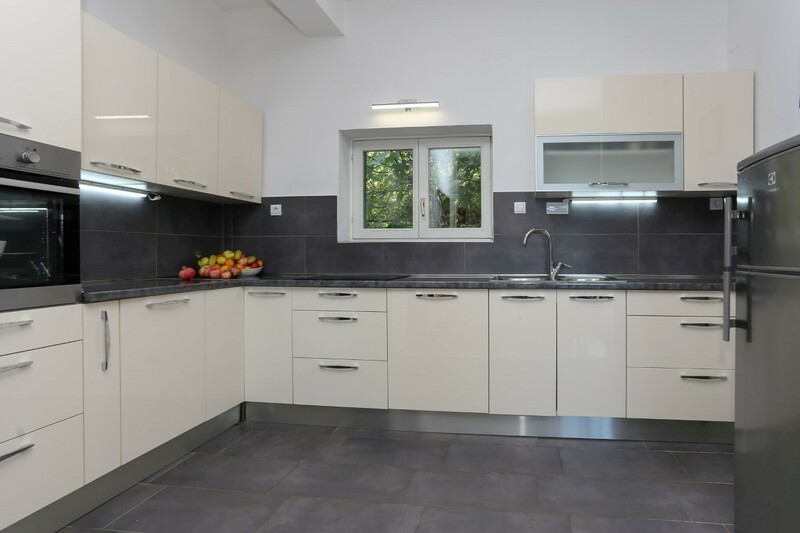 Each apartment has a kitchen, one bedroom, bathroom and living room. 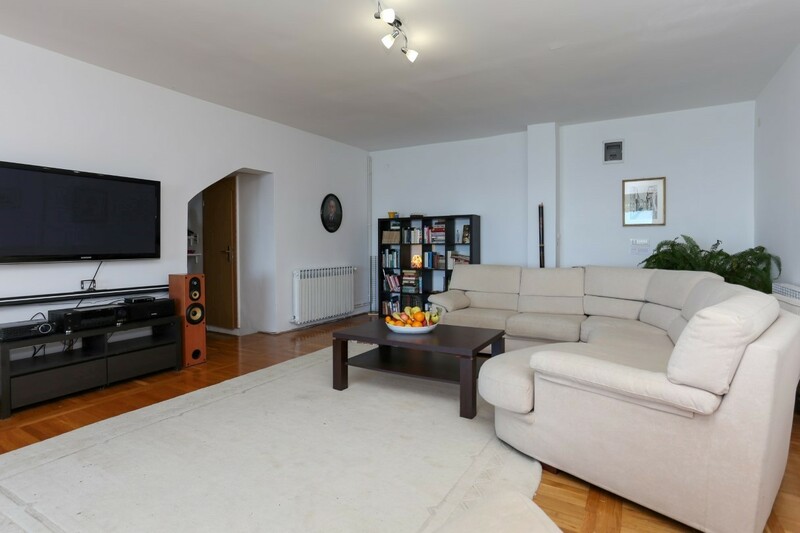 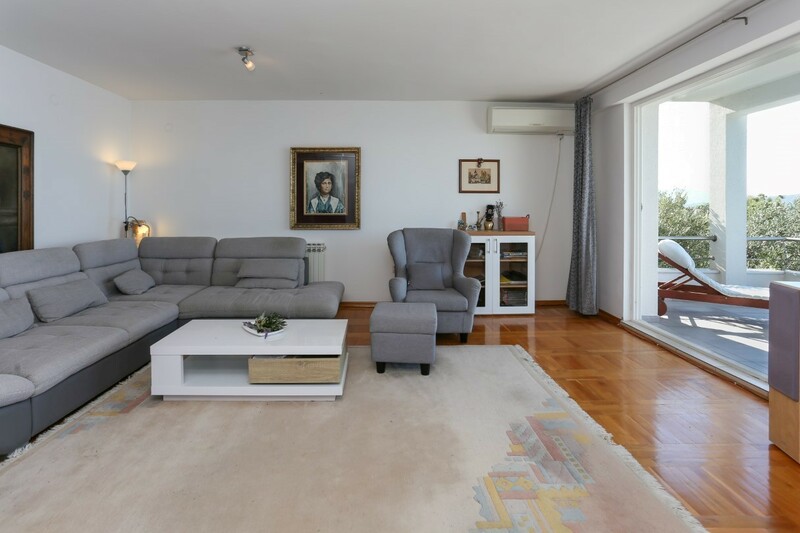 On the inside you will find a beautifully decorated living and dining room with large windows and direct access to the garden. 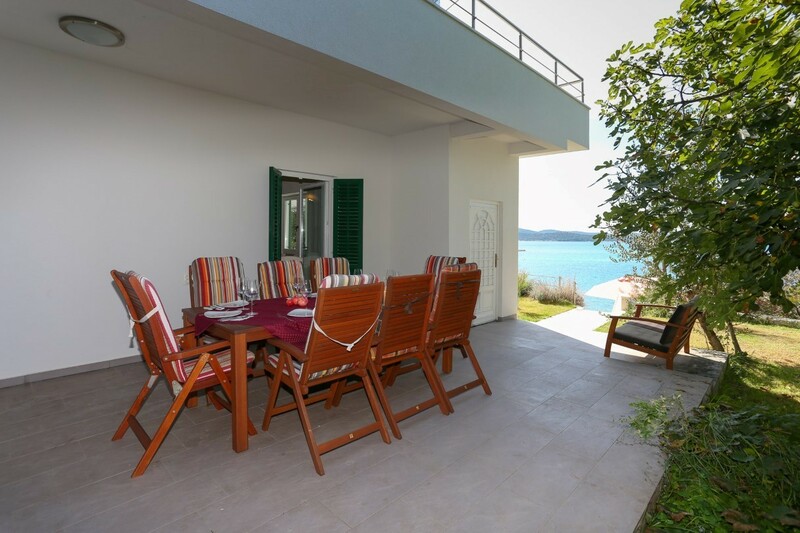 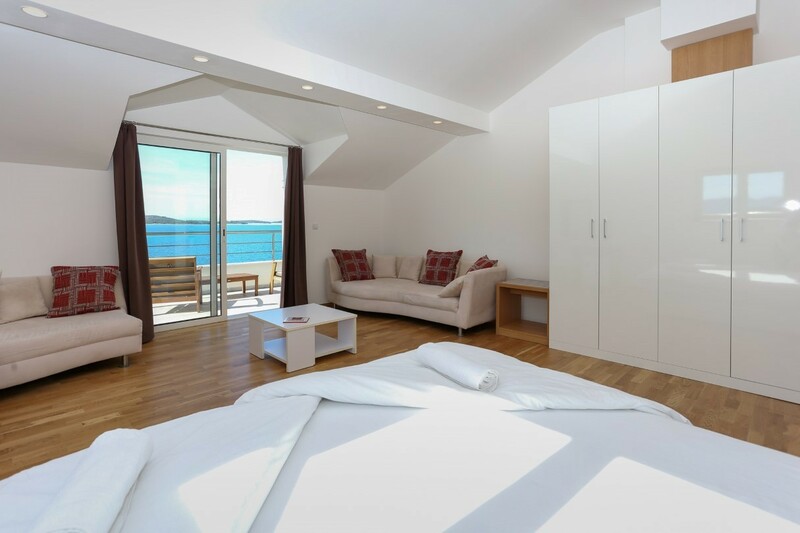 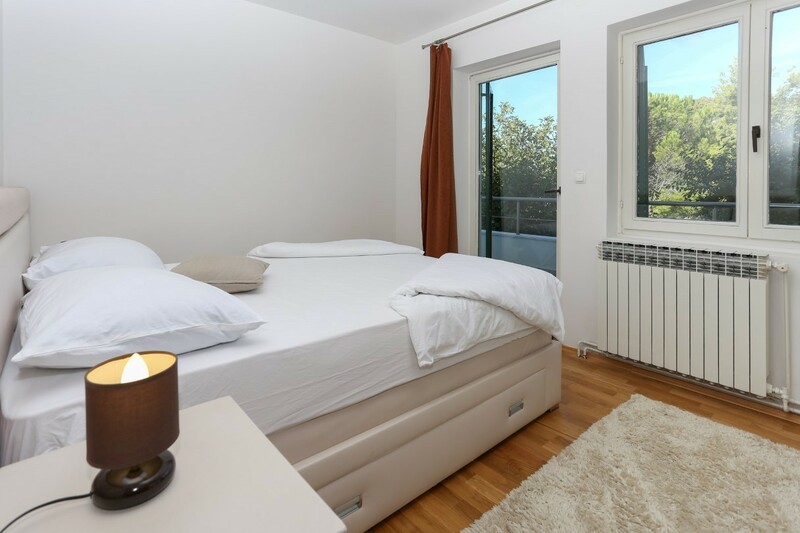 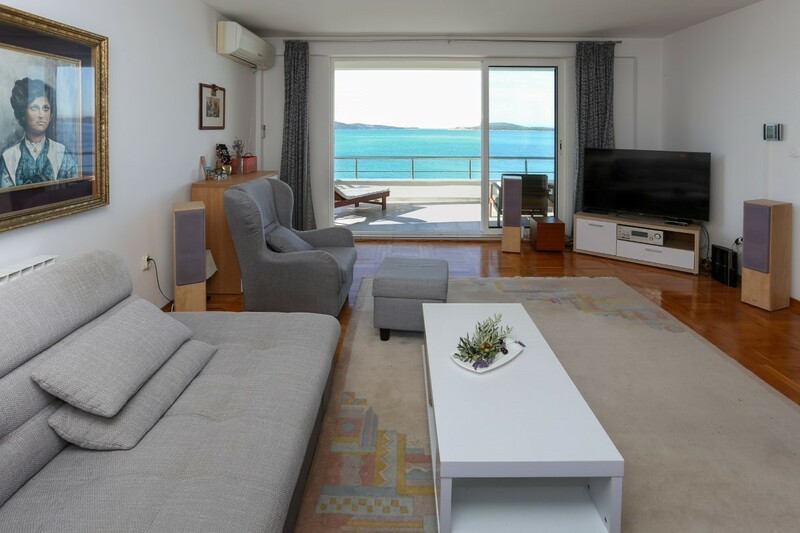 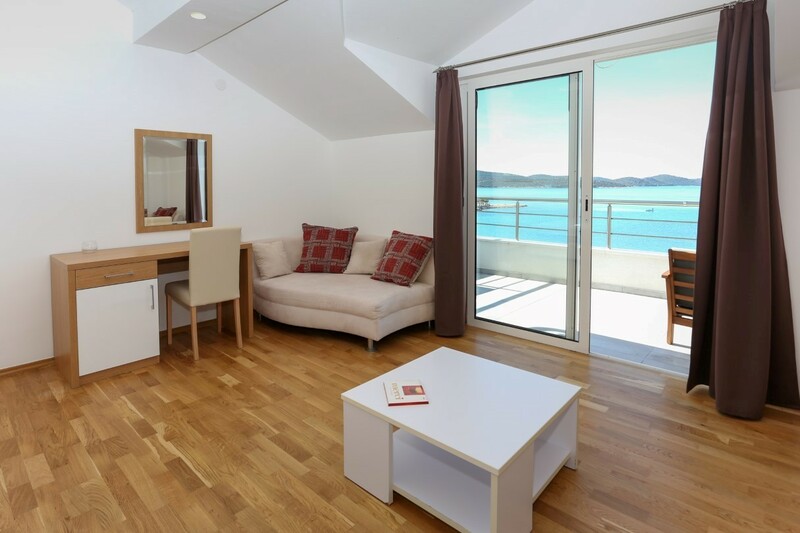 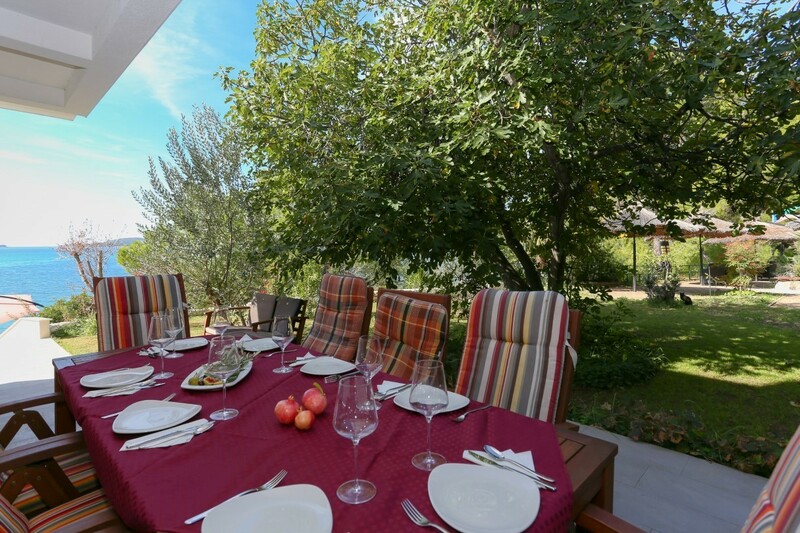 On the outside guests can enjoy preparing delicious meals on the barbecue or just enjoy reading a good book on the terrace while lying on one of the sun loungers next to the pool or beach. 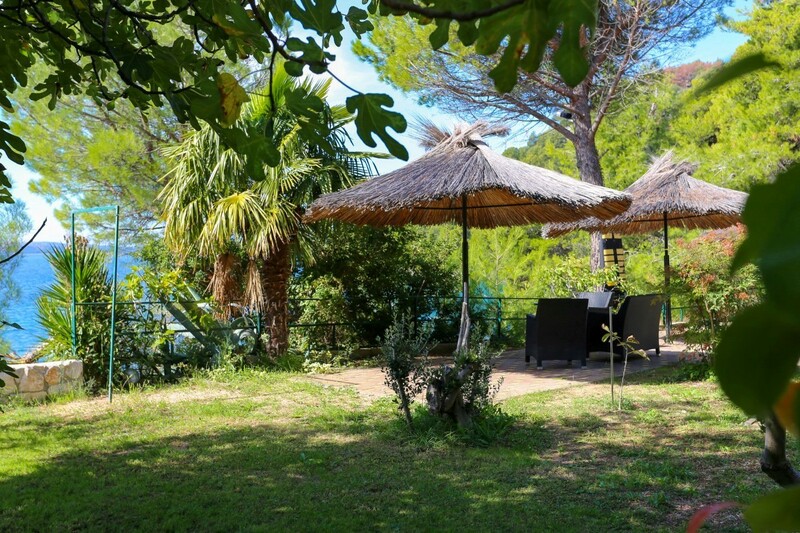 The pretty garden is one of the highlights of the property, featuring a lovely terrace with sun loungers and a seating area perfect for drinks while watching the sunset. 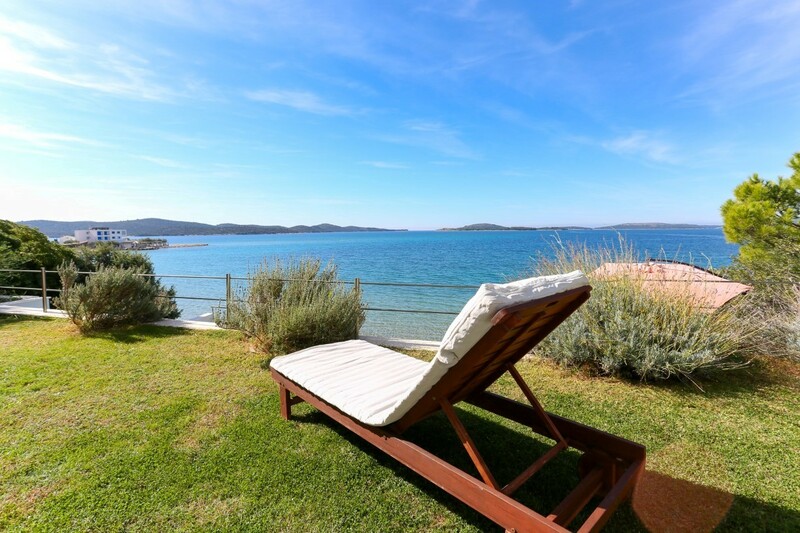 You can laze away the day by bagging yourself the hammock located just beside the swimming pool. 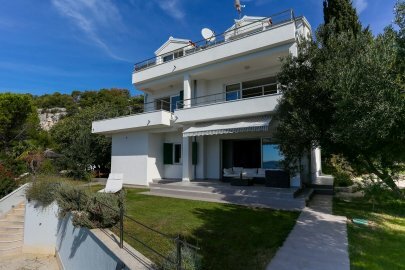 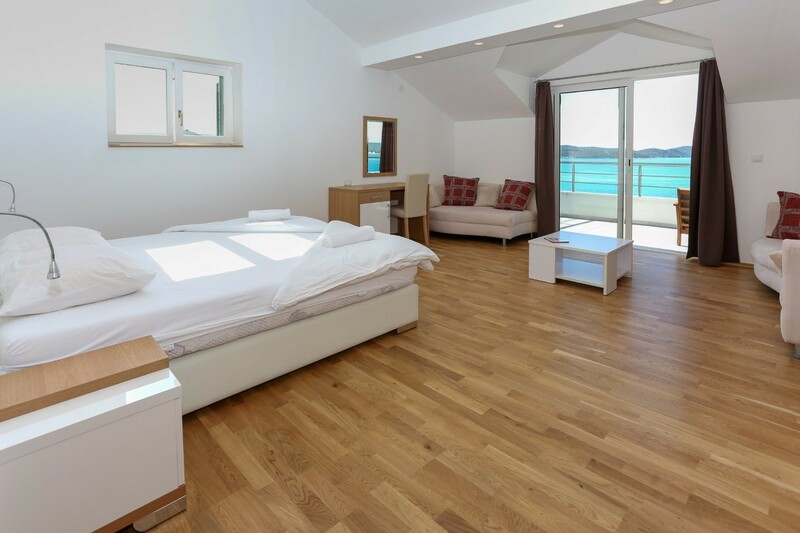 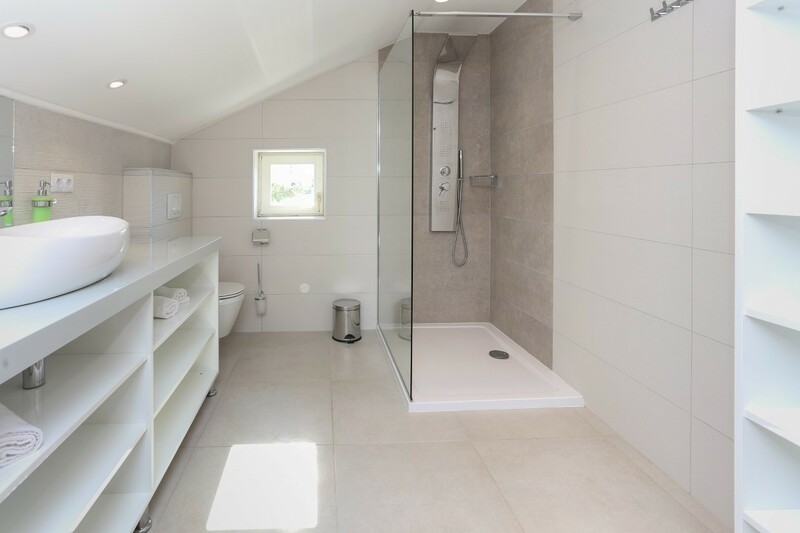 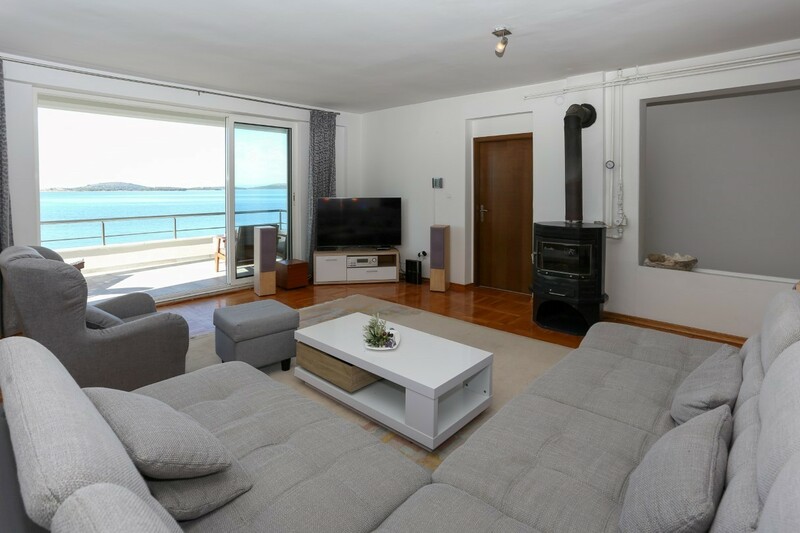 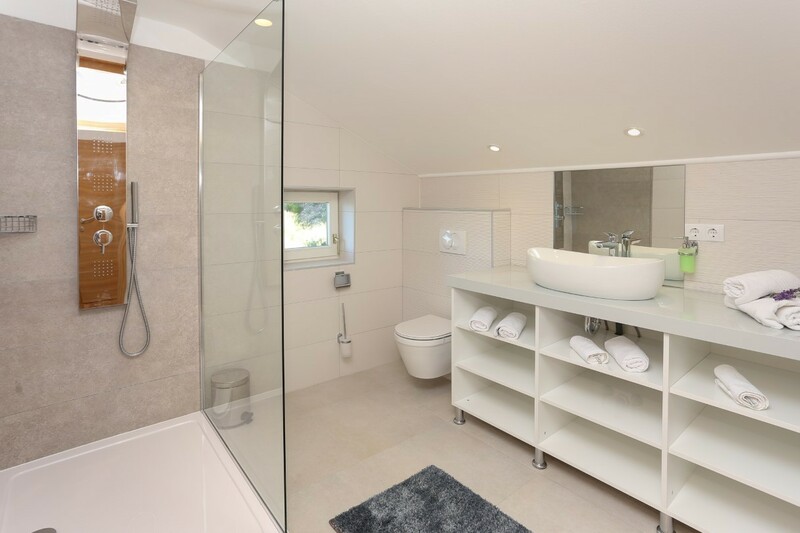 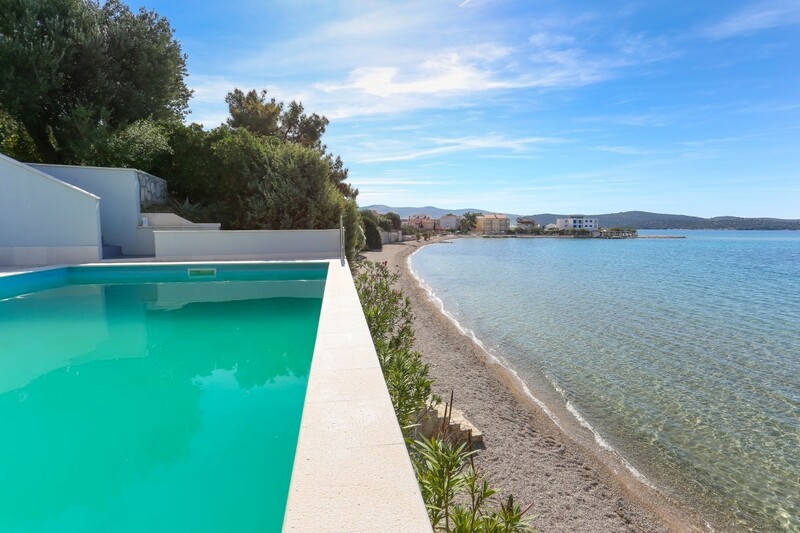 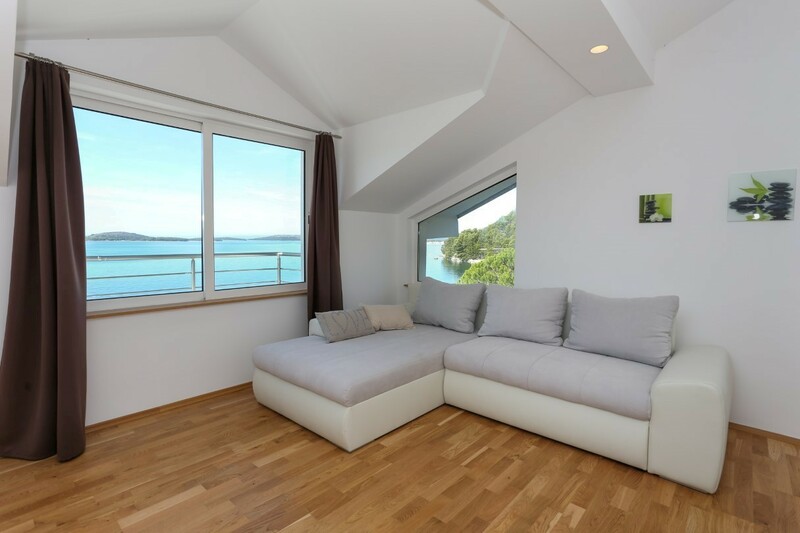 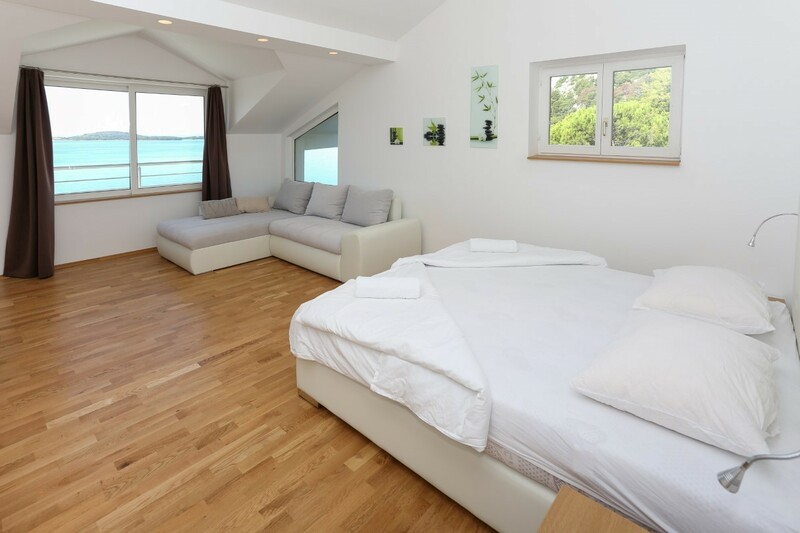 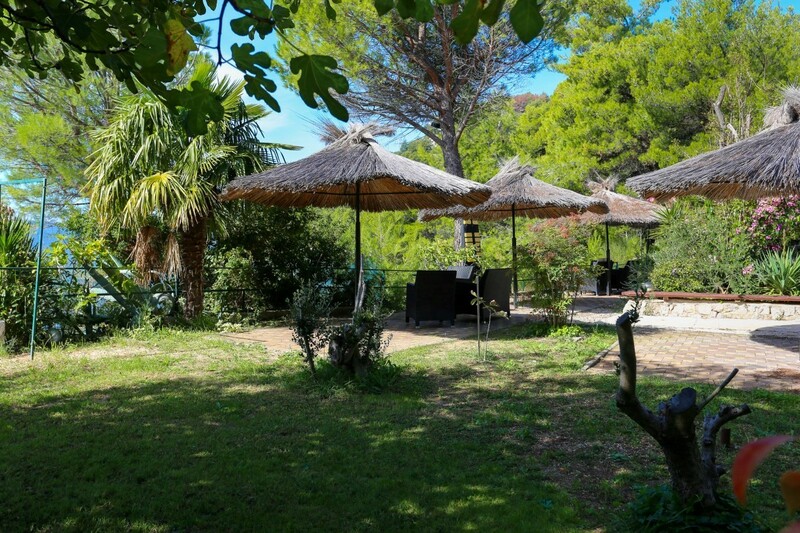 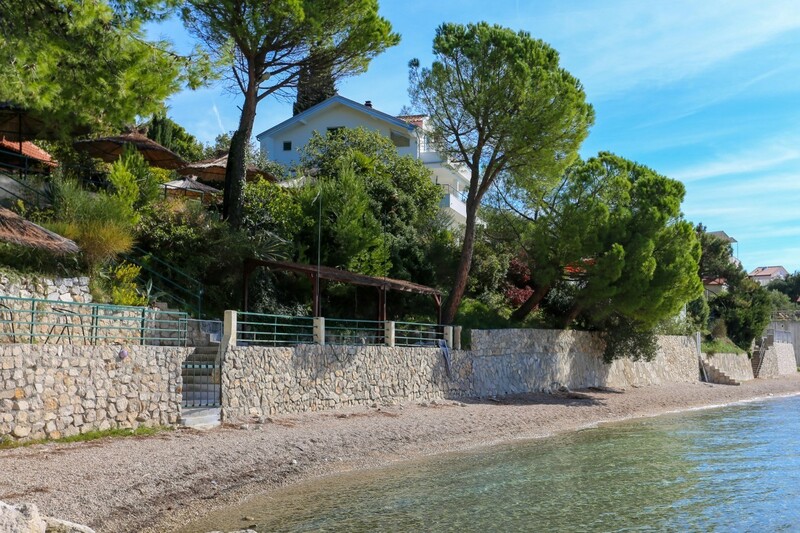 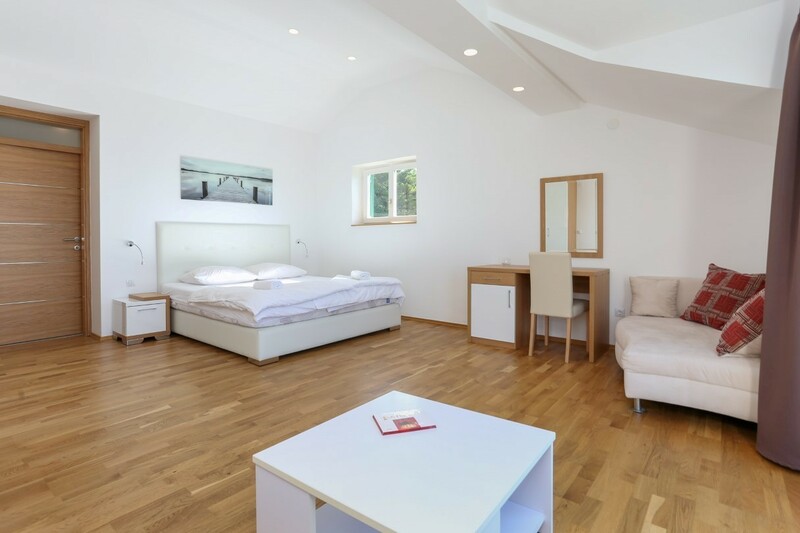 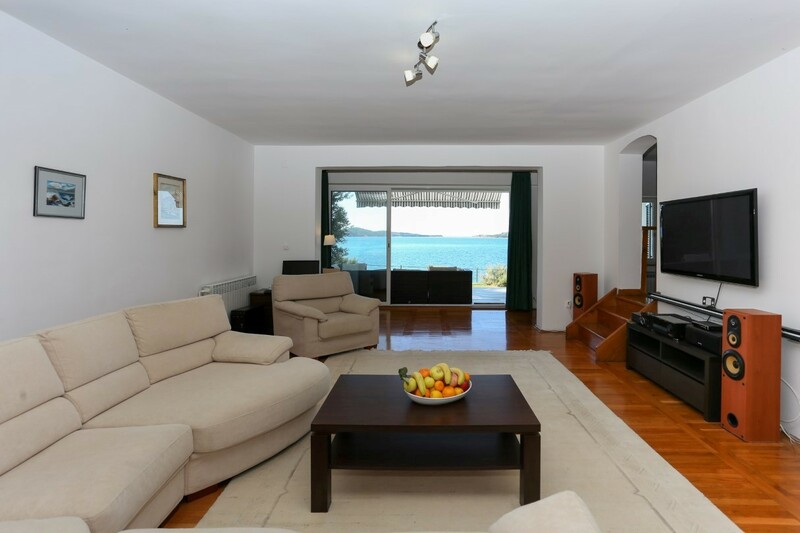 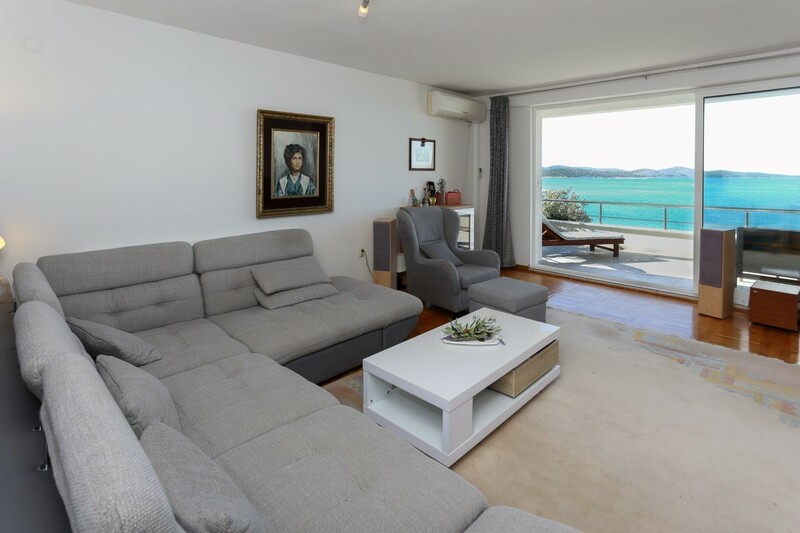 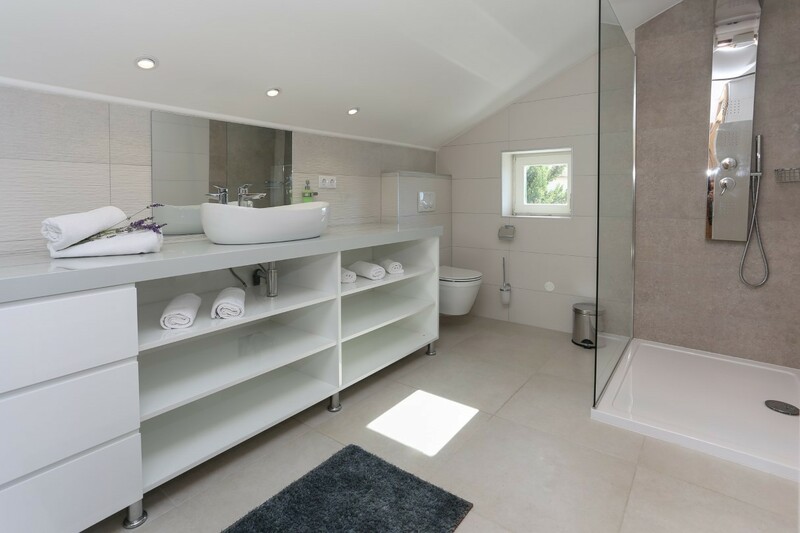 This lovely villa has a direct access to the sea from the garden, a private parking and its own little weather station where guests can check the weather condition at any time. 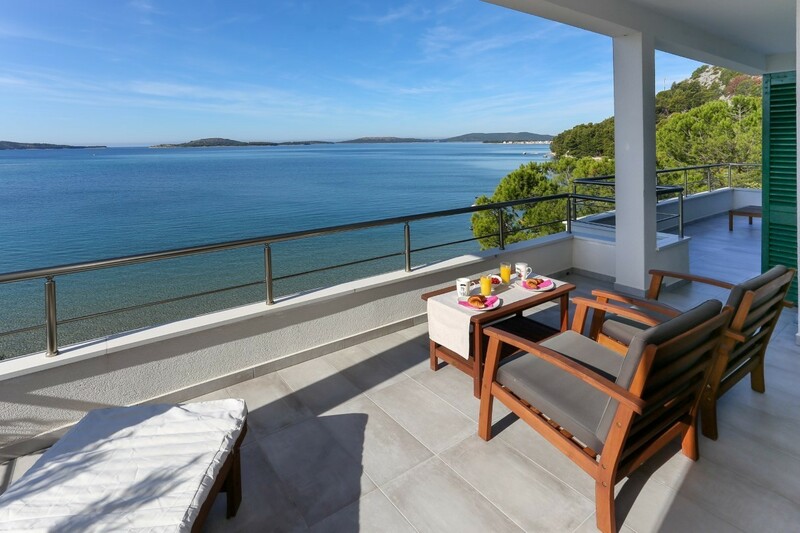 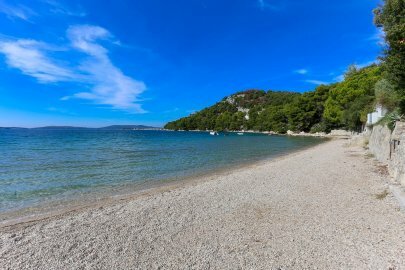 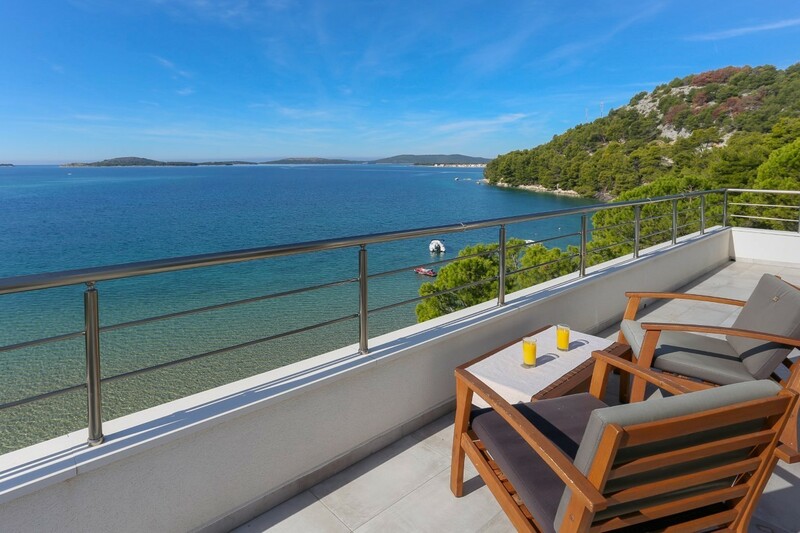 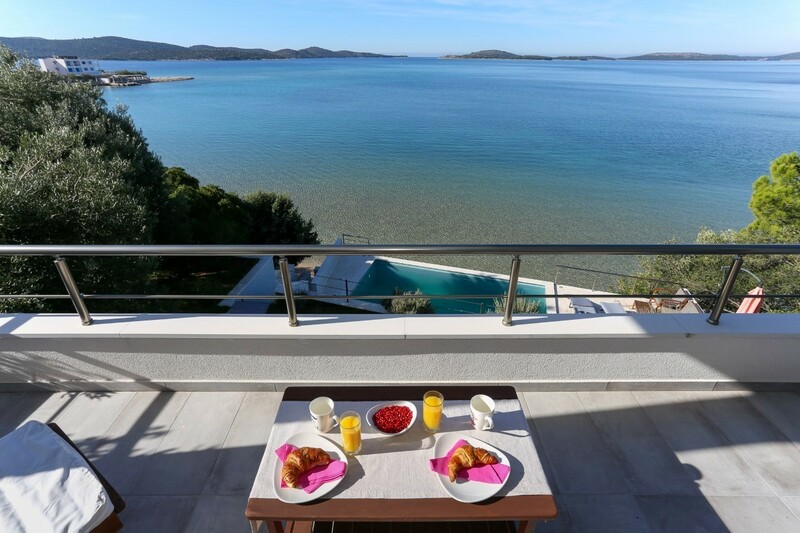 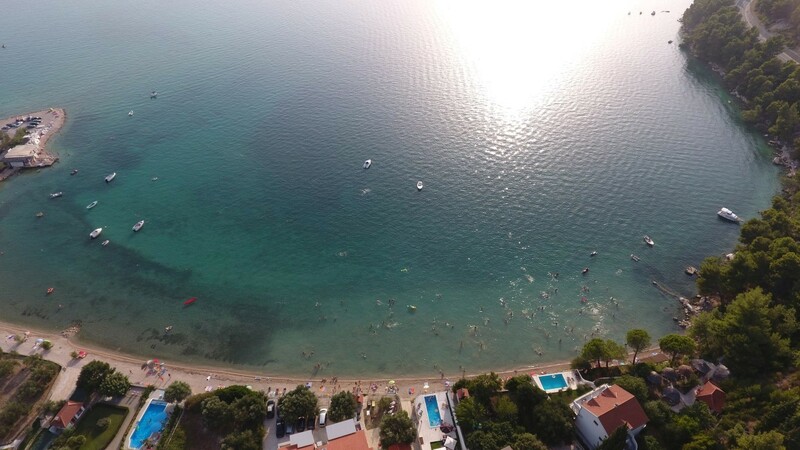 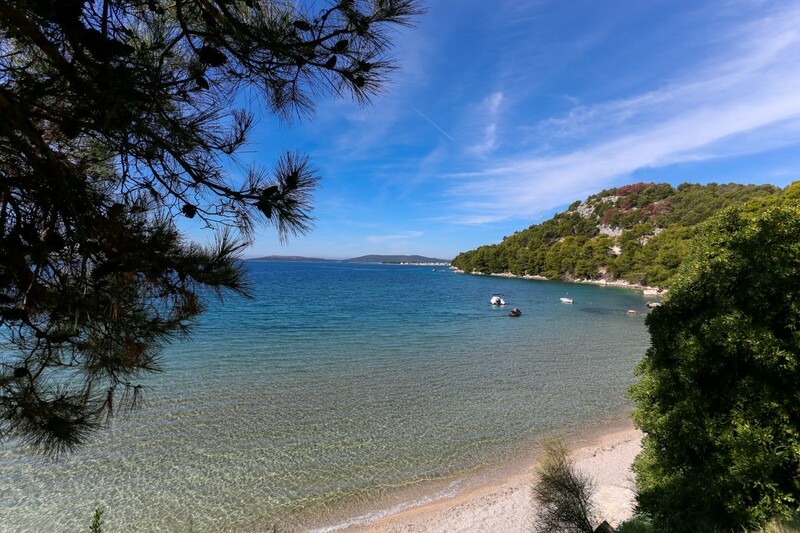 Wake up few meters from the beach and feel the scent of the Adriatic Sea! 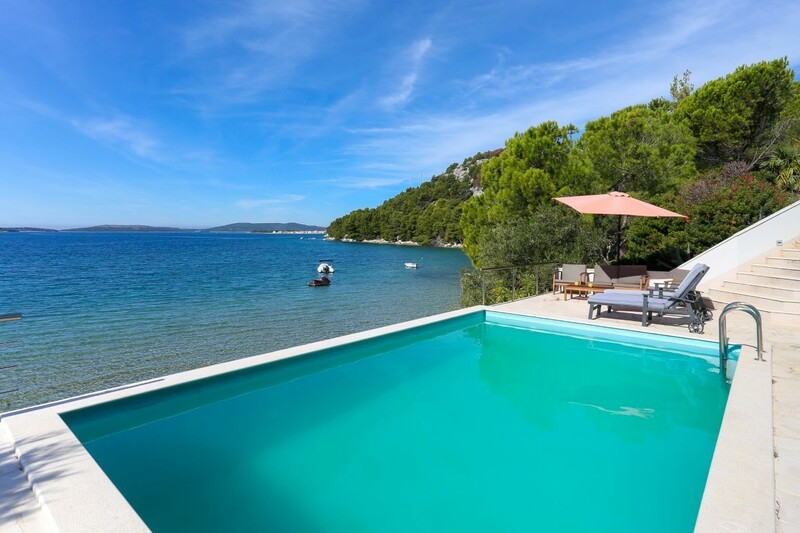 Make villa Exotica your next exotic vacation.